Arriving at Lion’s Battery, situated on the lower slopes of Signal Hill, the first thing I notice is the incredible view that lies before me. 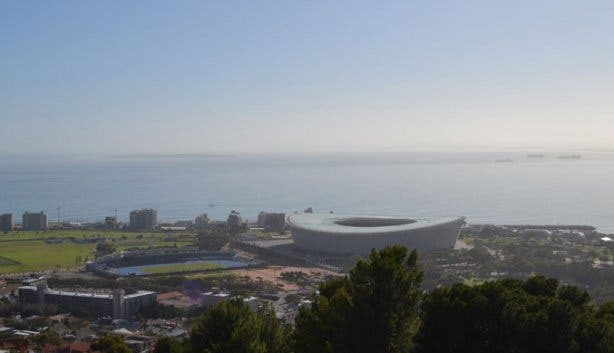 On a clear day, the famous mound rewards visitors with spectacular views across the Table Bay harbour, the central city, the Atlantic Ocean and Table Mountain. Today is no exception. 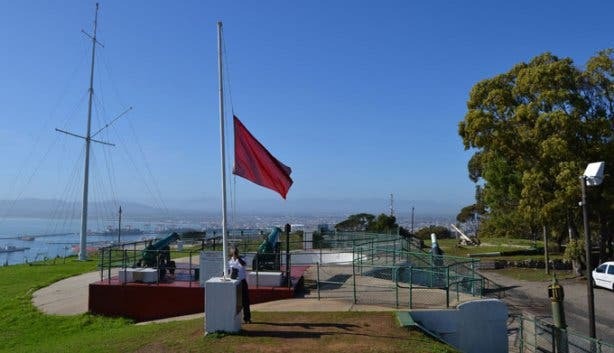 350m in height, Signal Hill separates Sea Point from the City Bowl and although it is named after its original use of flying signal flags to communicate with nearby ships, the renowned hill is also home to the Noon Gun. I check my wristwatch, it is a little before quarter to 12. I specifically wore it this morning (along with my other three watches) so that I could change the time of each watch accordingly as the blast occurs. As the quarter-to mark draws near, a small crowd gathers around the cannons excited to witness Cape Town’s oldest tradition. Having managed to survive a Dutch and British colony, a Dutch renaissance, the British occupation, the Anglo-Boer War, the rise and fall of apartheid and later a new democratic society – it is a very deserving title. Whether you are a long-term Capetonian or a visitor to the Mother City, the tradition of firing the Noon Gun never ceases to amaze or surprise people. Malgas, a member of the SA Navy steps forward in front of the excited crowd. He will be our cannoneer today. With some time still to spare Malgas begins to raise the red flag BRAVO, which is a warning signal for the gunfire. The flag will subsequently be lowered after the firing. With BRAVO flying high, Malgas begins to tell us the history behind the 12pm boom. 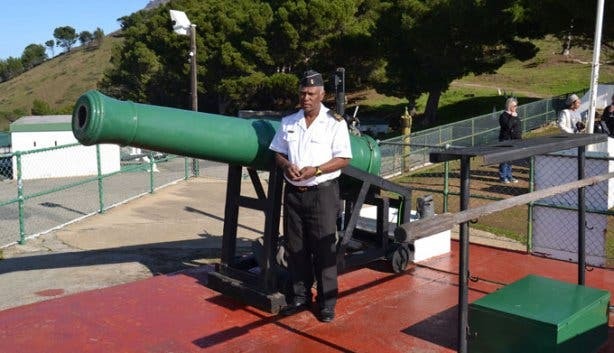 The green cannons (there are two of them, just in case one fails) are 219 years old and have been fired since February 1806. Originally designed by Captain Thomas Blomefield and cast in 1794 by London’s Walker and Company, the guns were brought to the Cape in 1795 during the British occupation. The crest of George Rex (founder of Knysna) as well as the British crown is still visible on the machinery as well as the markings of W & Co (Walker and Company). The serial numbers 330 and 249 can also be seen, thus making is relatively easy to trace the old weaponry back to 1794. Although both ship weapons are loaded six days a week (not on a Sunday or Public Holidays), only one is fired where the second is used as a backup. Should there be a misfire, the cannoneer’s colleague is on standby and will quickly change over and fire the second gun. The original 1794 18-pounder smoothbore muzzleloaders are still used today and are reportedly the oldest daily used guns in the world. Each cannon weighs more than a whopping two tons and are loaded with 1.5kg of gunpowder. For over a century the muzzleloaders were housed and fired from the Imhoff Battery near the Castle of Good Hope. The practice of the noon firing, however, wasn’t as simple as some trigger-happy individuals wanting to let of a bit of steam. The shooting was two-fold – for time-signal purposes and as a mark of respect. Shortly after the Imhoff Battery was destroyed in 1896, the cannons were moved to the Castle. 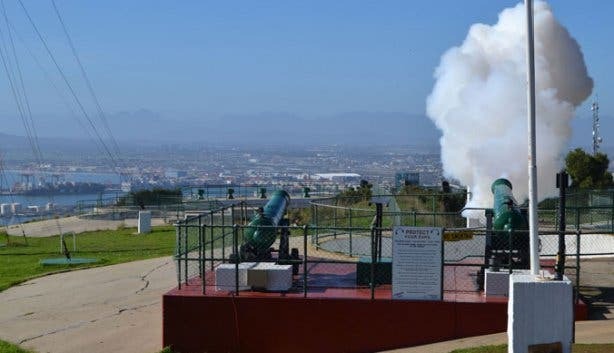 However, in 1902 (most probably owing to their deafening volume), it was decided that the devices would be moved to Lion’s Battery on Signal Hill. Owing to the Cape of Storms’s bad weather – the high sea and big winds – many vessels travelling around Cape Town took refuge in the sheltered Table Bay. However, after staying for a couple days, the ships would experience a loss of time owing to their inaccurate time keeping methods. 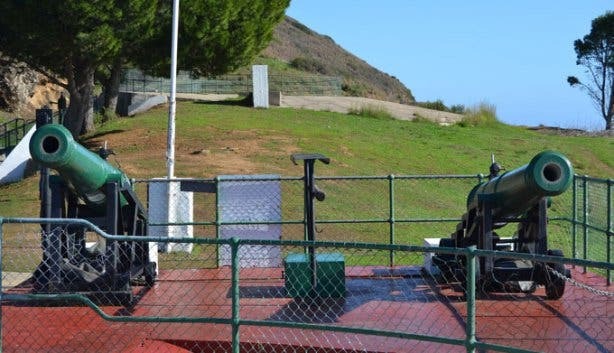 Thus, the British decided to fire a cannon at (more or less) noon everyday to act as a time signal for sailors enabling them to check that their marine chronometers were correct. A marine chronometer is a precision instrument used aboard ships to help calculate longitude – a rather vital component for ships navigating by sextant on the high seas. In addition, the firing of the guns was also used as a mark of respect for the lives lost during the wars. Sir Harry Hands, the Mayor of Cape Town at the time introduced the daily Pause of Remembrance (a two-minutes of silence) to follow the 12pm gunshot on 14 May 1918. It was said that the first minute is a time of thanksgiving for those who have survived whereas the second minute is to remember the fallen. In 2008, a plaque was unveiled at the Battery to commemorate the two-minute pause. Is the explosion 100% accurate every time? Believe or not, but yes it really is. Originally the guns were fired according to a flare set off at approximately 12pm from the South African Astronomical Observatory. After seeing the flare the Noon Gun artilleryman would then fire the Noon Day gun. However, this became unreliable and the SA Navy began to use the City Hall clock situated at the Cape Town parade as the suitable time. However, this too became unreliable as they soon realised that, while the Noon Gun was using the City Hall Clock for the accurate time, the City Hall Clock was using the Noon Gun to reset their clock. Nowadays, it is far more precise. An electrical signal is sent from the Astronomical Observatory (which has an unfailingly accurate atomic clock) a few milliseconds before noon. This burst of energy zips across the telephone lines, ignites the firing cap on the cannon, sparks the gunpowder and Boom! the cannon goes off at 12pm sharp (not a millisecond off). 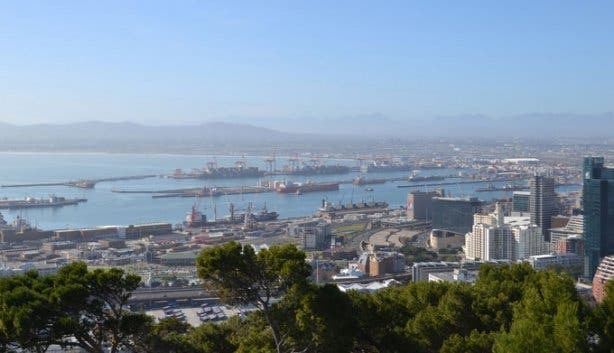 Allowing for all locals to use the opportunity to check and reset their watches and for all unbeknown first-time visitors to jump out of their socks as they are given a rather startling introduction to Cape Town. Slightly startled by the volume of the blast, I quickly check all my watches – resetting them according to the explosion. Now I too live life by cannon-time. During the 19th century, it was scarce to have the accurate time and therefore, all came to rely on the gun for the accurate time. 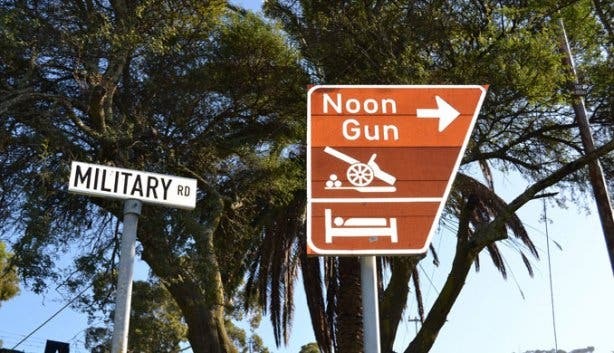 Travellers from Cape Town were often asked if they had the correct ‘gun-time’ as the Noon Day firing was accepted as the ultimate accurate time. On 7 January 2005, both the main cannon and the backup cannon failed due to technical difficulties. This was the first time in 200-years that the cannons did not fire as per schedule. There is one exception regarding the non-firing on Sundays – The Gun Run. The Gun Run is an annual half-marathon that takes place in the city. The race ends at noon and the gun is fired as a signal to those who have not crossed the finish line that they have not completed the race in the pre-requisite qualifying time. The Noon Gun has its very own Twitter page: @Signal_Hill_Gun – be sure to check it out! Where: Access can be gained from the city centre where you can follow the ‘Noon Gun’ signs from the corner of Bloem and Buitengracht Street through the Bo-Kaap via Military Road. Although the road is not too steep, it is narrow and rather windy and should be driven with caution. 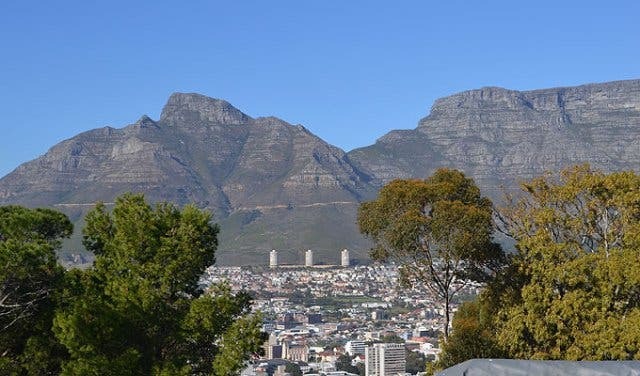 NOTE: Be sure to pack a jacket (even if the weather looks good) as Cape Town is renowned for celebrating all four seasons in one day, and it can become very cold, very quickly on Signal Hill. When: Arrive from 11:30am to so that you have the opportunity to appreciate the beautiful surrounding scenery and other incredible armoury located at the Battery. The SA Navy’s history presentation usually commences from 11:45am. Eager to find out more about one of the Mothers City’s other famous attractions? 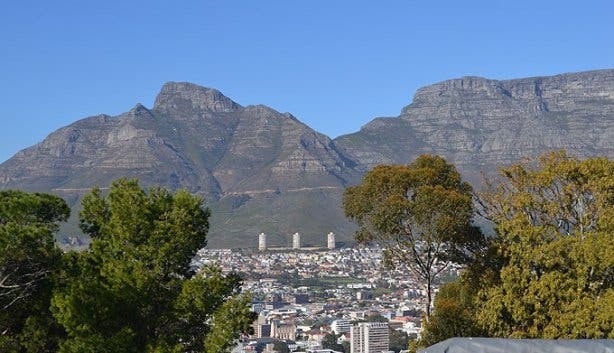 Here are 15 Things You Probably Didn’t Know about Table Mountain.